The truth is, there are actually no specific food diet Thalassemia Major Patients should be taking. Because, if you think about it. Most of the foods, you can find out there does contain certain amount of iron content in it including vegetables. The key is eating in moderation. Not to over eat it! Although some doctor might advise patients to eat lower iron content foods, especially these few months old baby or young children. Well.. That's fine! Follow your doctor instructions, if you feel safer that way. Give your kids these lower iron content foods in the daily diet. Give them guava fruit instead of apple or banana more offen if they liked them, that will cut down some overall daily iron content consumed. 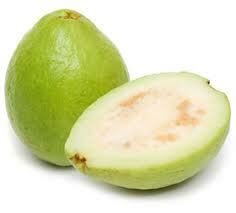 I heard actually another reason why doctor is advising their patients to take guava than other fruits out there is that there is more vitamins & nutrition facts contain in it, that will be beneficial to them. If you are talking about few months old baby or young children, they usually tend to not eat much. That's the problem! But there must be some foods, they will prefer more than others. For baby, you want to give them these easy to chew foods. But then, what are these? Well.. I would suggest giving them mashed potatoes, these with gravy on it. If you had not try giving them that. Porridge, in general, either plain porridge with side dish or adding some meat to the porridge themself and cook it. You just gotta figure out yourself, giving them different selection of foods out there and see which works. It can be common to see your baby not gaining as much mass as it should, due to they are not eatting as much. You want to ensure they are getting these vitamins and nutritions, their body needed at the minimum. To ensure growing well.. If you want to give your baby any vitamins supplements, always take the effort to first check with your consultant. Just to make sure, you are giving them the correct vitamins and doses they needed. Should Thalassemia Baby / Children Be Taking Banana for Fruits? That's is nothing wrong with having banana for fruits, although it may contain maybe a little more sweetness and iron content in it than other fruit, that you might want to avoid in large quantities. But, for occasional consumption, overall it shouldn't be a huge problem giving some. Although, guava may properly be a better fruit to have, because of it's nutritions value it contains and the lower amount of iron contains in it, at least if you want to compare it with apple or banana some other fruits. Baby/Children are often not eating as much food, as they should. Needless to mention, thalassemia patients included. Causing parents to be very concerned, whether their child is getting enough food and nutrients. Especially, in situation when they are not gaining as much weight, as they should or worst losing it. Worried it will affect their overall growth. Without a doubt, every parent will always give their children the best of all they can. Therefore, they will try to look for solutions, tips or anything on what they can do to enhance their child situation or condition. After some research, most parents will come into conclusion, that the best thing they could do is to ensure their kids are getting enough nutritions. The way is giving them additional supplements on top of their daily nutritional consumption from food products. Therefore, they will start asking people around, that they think will know what supplements is best to have. Regardless, what you decide to give your child, always make sure to inform your child doctor about it. So, the doctor could give you more or better suggestions on your decision. Even if anything will to happen, that could be a result of the supplements you are giving your child. At least, the doctor will know what is going on, and can take necessary action from there. So below is a list sample of some supplements, a mother is giving to her two years old thalassemia major child. Remember, you don't have to do exactly what she is doing, as every child needs and situation might be different. This is just an example, hoping to give you a brief idea on what types of supplements, people can expect to give their child on a regular daily basis. One of the major concern in Thalassemia Major Patients are the iron content, they consume from their foods. Too much Iron in our body leads to productions of harmful free radicals, and interferes with metabolism, causing damage to organs like the heart and liver. More so Thalassemia Major Patients already had Iron Overload problem due to regular Blood Transfusion. Below are some list of foods that are rich in Iron Contain and should be cut down or eat in moderation for Thalassemia Major Patients. Note: Vitamin C do helps in the absorption or iron in food/drink. Taking fruits juice or having some chili together with your food get the job done. Drinking natural green tea everyday do helps in reducing and lowering iron absorption from foods especially plant foods. Now more and more Thalassemia Patients realist the benefits drinking green tea has given them. Green Tea not only help in lowering iron absorption from most foods, it also contain tons of health benefits, you definitely wouldn't want to missed. 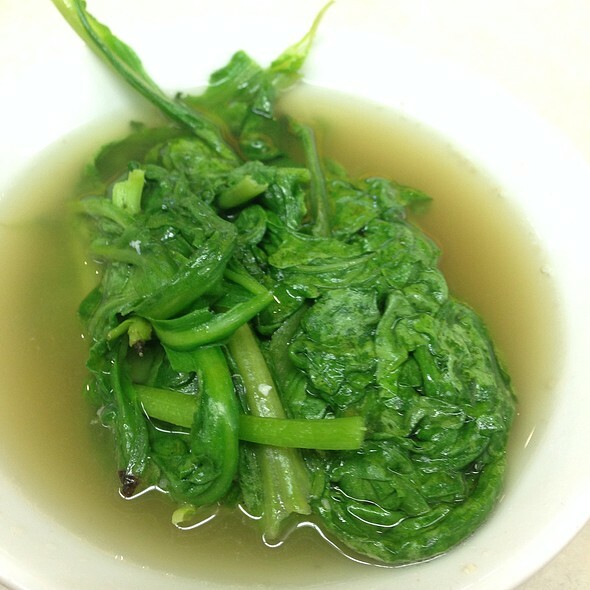 Green Tea might not reduce as much iron content from our body, as thalassemia major patient will hope. 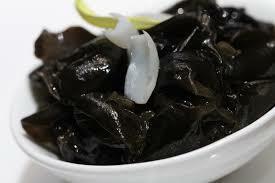 But it certainly is known to reduce certain iron absorption from foods. Think of it this way, a little reduction of iron content from foods each day, does makes a significant amount of reduction over the years to come. Sticking with consistency just drinking a cup of green tea, about 30 mins after your meal each day is the difference. Black tea is known to reduces absorption more than green tea and coffee. Calcium, polyphenols, and phytates found in legumes, whole grains, and chocolate can reduce absorption of nonheme iron. Green Tea, the most natural anti-antioxidant beverage you can get. Green tea is rich in polyphenols, amino acids, lipopolysaccharide, potassium, magnesium and various vitamins such as vitamins, B1, B2, C, E, PP, H, pantothenic acid, folic acid, inositol and carotene, amoung others. According to findings of medical research conducted in countries including China, the United States, France and Japan, green tea has a host of health benefits - one of the major reasons being polyphenols, its key component, EGCG, a polyphenolic compound, acts as a powerful antioxidant, which in turn strengthens our body constitution. > Use 1 tea bag for a cup or mug. Pour freshly boiled water over the tea bag. > Steep for 1 to 3 minutes to extract the full flavour. > Adjust steeping time to suit personal preference of strength. > It is ready to be served when the tea bag is removed. > Each tea bag may be infused 3 to 5 times. 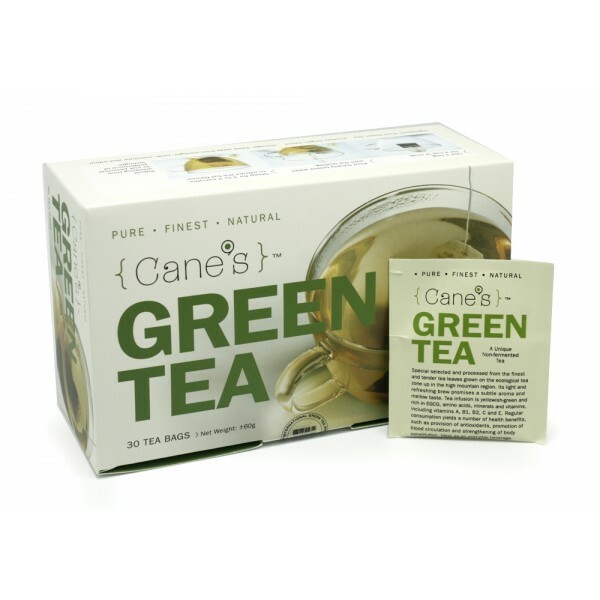 Cane's Green Tea is Green tea. 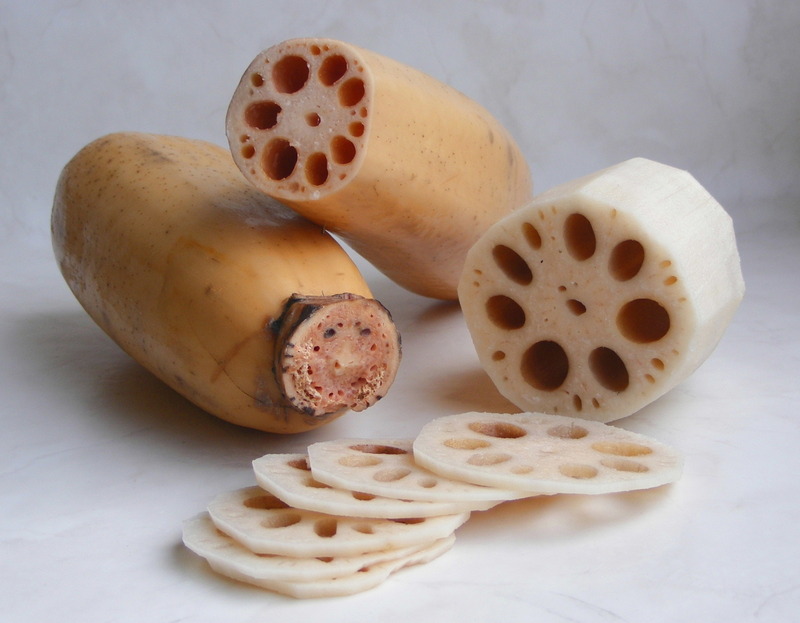 Product origin from China. Why Thalassemia Major Patients Should Take Antixidant ? Taking foods in diet that contains antioxidant properties, such as eating fruits and drinking pure green tea or antioxidant supplements is known to reduce free radical damage cause by excess iron. Long-term regular blood transfusions in Thalassemia Major Patients, that result in iron overloading could lead to inflammation of the pancreas, liver and heart. Which are the consequences result to diabetes, cirrhosis, heart failure and other related disease. Why Thalassemia Major Patients Should Take Alkaline Foods? Taking foods that is alkaline or contain high pH level, does helps to neutralize your overall body acidity levels. In other words, it will helps you to prevent getting sick offen. When your body is not so acidic. Helping you to stay healthy. Should Thalassemia Major Patients Be Drinking Coffee? Drinking coffee shouldn't be that bad for thalassemia major patients. Although it might contain more amount of caffeine than tea, but the antioxidants level in coffee is also higher than tea in other words. Taking a little amount of caffeine shouldn't be causing much harm. Coffee not only contain higher amount of antioxidants level than most other foods and drinks out there, but it also contain tons of health benefits you can find out there in coffee, based on a research studies. That Coffee not only could reduce your risk of developing Type 2 diabetes, but it's also known to be great for your liver. Just the two benefits, I mention above. Who knows can even assist a little on the prevention of thalassemia related health problem. Diabetes and liver problem in thalassemia major patients, both are mainly cause by the iron overload in the pancear and liver alternatively. But it can also be cause by thalassemia condition themself. So, I don't see why thalassemia major patients can't be drinking coffee everyday. 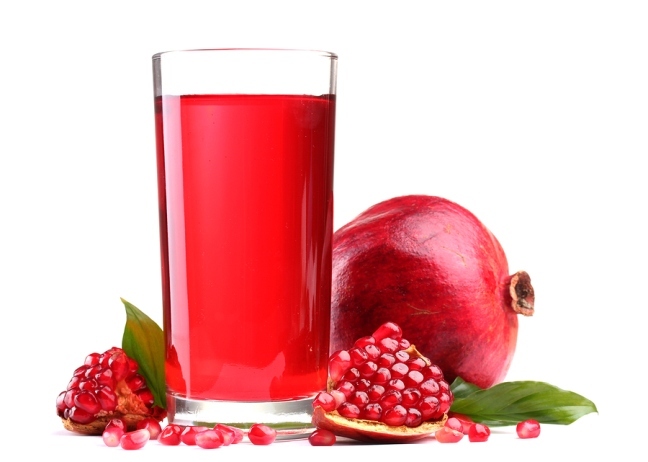 Of course not to drink too much of anything, just because it taste good and contain some health benefits. I personally are drinking 1-2 cups of coffee too most day other than tea for many years, and did not faced any health disorder related to drinking coffee or side-effects of taking caffeine. Note: Up to 400 milligrams (mg) of caffeine a day appears to be safe for most healthy adults. That's roughly the amount of caffeine in four cups of brewed coffee. Although caffeine use may be safe for most adults, it's may not be a good idea for young children. Many people are actually not drinking enough water everyday. When I mention water, I mean plain drinking water. Many young children and even adult, are not having enough water everyday. Some of the reason why is that, they prefer or are used to be drinking more coffee, tea, soft or energy drink than drinking plain water. 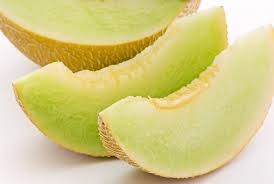 Just because it's taste some much better, it taste sweeter or sourer with a spiking lime kick to it or so... Making them addicted to it, and having to drink them everyday to feel better. Drinking sufficient plain water is actually an important nutrient your body will needs, to replace the large amount of water lost each day. An average person is known to be drinking at least six to eight glasses of water per day, but everyone body is different. So you just need to be drinking enough water, for your own body needs everyday. It's always good to start off your day after waking up, with drinking some warm water, before drinking and eating your breakfast. Because after a long night sleep, your body will used up a lot of the existing water remains in your body for regenerating. Thalassemia patients definitely should be drinking enough water, from the medications and supplements we are taking in everyday. Do add up the toxins and in giving additional burden to our kidneys. Drinking insufficient amount of water, might also cause you to fall sick more easily. As water helps to transport waste products in and out of cells, cleansing and getting ridding your body toxins if only your intake of fluids is adequate. So always make it a habit to carry a bottle or flask out to school or work everyday, to make sure you will be drinking water not just when you feel thirst, but a little mouthful every while throughout the whole entire day. Drinking a whole lot of water at once, when you feel thirst is not as useful as when you have a little mouthful of water throughout the entire day. This will help your body to assort more of the water that is needed, rather than just drink a whole bottle of water and passing it all out in the washroom after a while. Less is MORE I guess, just like eating six small meal throughout the day, is much better than eating two chickens with rice in just a meal for the day. As for children who do not like drinking plain that much, no harm trying in adding some natural flavor of fruits or let say honey into the plain water they are drinking. The Liver in most Thalassemia Major Patients, is actually not just as healthy as you might think? The Liver in Thalassemia Major Patients are usually enlarged, to certain extent. Due to the years of low hemoglobin, they are having. Causing their body and organs to have to make up for it, and in the process enlarged. Iron overloading in all parts of our body and organs, including liver. Are unavoidably affected by some degree as well. Also the medications and supplements, patients are taking. Are also piping up in additional burden to their liver. Needless to add on other lifestyle issue, such as diets, exerise, sleeping habits and environmental situation. That might be one of the reason, why I have Thalassemia Friends that are telling me they had just switch to a vegetarian base diet. They all do play their own important individual parts, to ultimately giving you a overall healthy liver. How to tell whether you have a Healthy Liver? There are actually few ways, that I personally know of that could briefly let you have a idea of how good your liver is. Firstly, is by looking at a person Eyes. A healthy person eyes, should be like a fresh fish you are looking for in the market. White and Clear. You should only see white and black in their eyeball. If you see yellow instead, that might indicate to you that the person liver or even colon, might not be doing too good. As and when needed, having a doctor consultation or for screening, is certainly a smart move and not a bad idea at this point. Secondly, is by looking at a person Skin. As our Liver is related to our Skin, some common knowledge that we all know. Looking at the overall skin condition, could briefly tell how good your liver is indirectly. As the last method, if you do foot reflexology regularly you might know. Is the reflex pressure points of our liver. A professional certified foot reflexologist or therapist, should be able to tell whether you have healthy liver. Just by putting pressure onto the reflex points of the liver, either on feet or hand palm. I remember once, one of my other thalassemia friend and me just finished seeing an appointment at SGH. He decided accompanying me to the near by community centre to look for my teacher, who was teaching there. As we have nothing to do after that, as it was already the evening after work. It was still early when we get there, so my friend started talking and randomly asking my teacher about his skin condition he was having. Once my teacher heard about it, he started to feel his palm on the hand, and realize it was hard. So immediately, my teacher could tell his liver is not doing to good, like he said about mine a little too. So it actually make sense in saying, you can actually tell whether your organs is healthy, by press it's reflex pressure points of it's organs. Also by saying Thalassemia Major Patients Liver function is weaker, due to their condition. Noticing from Me and my friend encounter, and other patients related example. Vegetarian Diet in Thalassemia Patients!? Recently, I have a thalassemia friend telling me that he is planning to switch to a vegetarian base diet. Wanting to opinion, what I think about it? He did not tell me, the reason why he decides to switch it though. But I am guessing the few reasons why someone will want to switch to a vegetarian diet is because they want to be eating healthier, in order to have a better health, losing weight or maybe even just not wanting animals to be killed for their food, which are less likely the reason. I personally don't see much problem for a thalassemia patients going vegetarian. Not that I will go for it myself, but I would rather have my usual meal and vegetables and can also have vegetarian mean, if I want to. The only reason, I am worry about for someone who has been eating a meat diet for his whole life, out of the sudden having to switch to a vegetarian diet, might find themselves in the temporary situation possibly facing some symptoms such as feeling weaker, more tired and restless or even breathlessness in the short run. Until their body are comfortable with the changes of their diet. More or less if any of the symptoms you encounter, will to worsen. Definitely, with any hesitate go straight to your doctor and inform them what is going on and what you can do about it. Lastly, for all thalassemia patients, always be sure to inform your consultation doctor first, before doing any changes to your daily diet what so ever. Important supplements Thalassemia Major Patients are taking on the daily basis. There might be other supplements, some patients are only taking 2-3 listed above. These are the supplements I am taking for my case. Vitamin B Complex - Helps in promoting of healthy nervous system. Vitamin C - Helps in protection against immune system deficiencies, cardiovascular disease, prenatal health problems, eye disease, and even skin wrinkling. Patients who are on Exjade Oral Iron Chelator, do not need to acquire addition Vitamin C supplements. But yet it's still an essential in preventing and getting well from an minor sickness. One of most recommended source of Vitamin C intake, is through eating fruits and drinking fruit juice. The easiest and most efficient way to consume Vitamin C daily, is drinking a cup of fresh orange or fruit juice, while having your breakfast every morning. Vitamin D - Is crucial for the absorption and metabolism of calcium and phosphorous, which have various functions, especially the maintenance of healthy bones. Vitamin D deficiency are one of the main cause of depression in Thalassemia Major Patients, other than thyroid hormone imbalance. Vitamin D is extremely important. 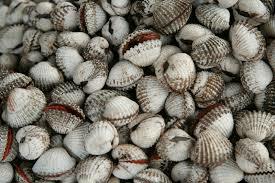 It also helps Thalassemia Major Patients in preventing depression, diabetes, osteoporosis and other diseases. The two best way of receiving Vitamin D, is through natural sunlight or indoor tanning. Too much sun exposure, might not be a good idea. As it's known to have some risk for getting cancer, whether it's true or not is beyond me. Make sure to always apply the suitable correct sunscreen and eyes protection, before receiving any sort of sunlight exposure. Getting some sunlight exposure, with the proper way is certainly not bad idea for Thalassemia Major Patients. Not only it can help them to have the health benefits of Vitamin D I mention above, but it also helps them to look less pale that they might already are, due to their low blood count. Looking a little tan, might help them to look less pale, healthier or even better. This is what I think, make sure to always check with your health care professional first, before doing anything. Note: Over Sun Exposure might not only can be sometimes bad for your skin, but it can be also known to reduce/drain your red blood count in some case, than if you do not. The second best alternative of receiving Vitamin D is through taking natural food or supplements. The favourite choice among parents, who are giving it to younger children or baby is Cod Liver Oil. Either in syrup or tablet form. Not only it's high it Vitamin D content, but is also known for it's rich nutritional value. Taking it in moderation, I can't even imagine any side effects to be honest with you, if the think of it's upside health benefits it contains. Folic Acid - Also known as Vitamin B9, it plays an important role in facilitating many body processes. Among them are cell maintenance and repair, synthesis of DNA, amino acid metabolism and formation of red and white blood cells. Calcium - Is a necessary nutrient to promote healthy bones, as well as other bodily functions. Calcium taken together with Vitamin D is extremely important for everyone, especially Thalassemia Major Patients. Neither one Vitamin D or Calcium will works out without having one another in maintaining and having a healthier strong bones and joints. Thalassemia Major Patients is more likely to have a weaker or lighter bone structure than a healthy person, due to their low haemoglobin from born, constant regular blood transfusion and even their chelation treatment. That their bone and joints will have to make up for it, in other words having some signs of bone deformities or osteoporosis. They may feel pain in their joints occasionally or feel of loosen cracked sound of the bone and joints from time to time. That's why some doctors, do recommend Thalassemia Major Patients to consume Calcium with Vitamin D Supplements, if they do not have enough of. Most patients who think, they are consuming enough Calcium from their daily food diets, and do not require additional calcium supplements. Are offen these, who are having calcium deficiency. Especially younger children where their bone structure is yet to finish growing. It wouldn't necessary helps in preventing their bones to further deteriorate or improving, but at least be essentials for them maintaining it at it's current condition and not letting it get worst. But What is The Best Source for Calcium Consumption from Food and Drink? MILK! Especially if you are giving it to your baby or younger children. I do know of parents, who only gives soy milk and not cow milk to their kids. As they told me cow milk are bad for your bones. "I am like WHAT?" They heard that, these people who drink cow milk will be having some degree of joints problem as they grow older. Such as loosen of knees or other parts of your joints, that will affect them to walk well. Whether it's true or not is beyond me. When drinking soy milk or any drinks, is always good not to drink it when it's chill cold or at least less offen. As researchers doing a experiment prove that your body will have to pay for it sooner or later, by getting real sick. From the cool drinks and unhealthy food diets, you are putting while piling up in your body everyday. So you must well start by investing in your health a little, by eating and living healthier than one day you have to pay for it,... BIG TIME. Taking natural foods that contains Glucosamine from young, might also help you to have a better joints & bone health as you grow older. Even taking Glucosamine supplements regularly from young, could still help to prevent the chances of getting any joints or bone problem from occurring, as you grow older. But after all, a healthy lifestyle will starts from having a healthy mind to a healthy body. Because no matter, how healthy you had been eating. If you have a dirty mind, it will not fulfill the criteria of living as a healthy person. Quite many Thalassemia minor, intermedia and major patients are now taking wheatgrass on a daily basis. Wheatgrass come in juice/powder/shot and tablet form. 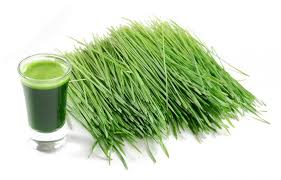 The best source of consuming wheatgrass is drinking the fresh wheatgrass juice. Wheatgrass not only have tons of health benefits and nutritional values, it was also known to increase or at least maintain hemoglobin level in Thalassemia minor Patients. Introduction: It's real, it's natural, and it's certified organic. 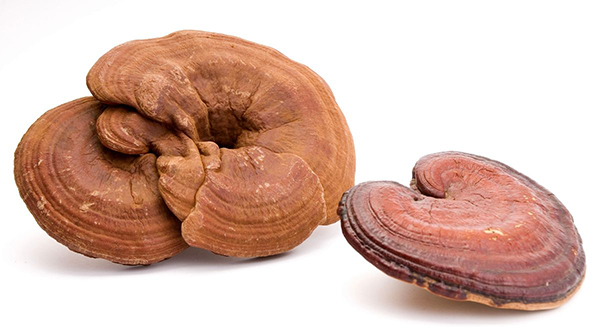 A whole food that has been harvested at the absolute peak of its nutritional value. Think of it as concentrate "energy" or simply as an off-the shelf source of the very best that greens have offer. Either way, it's good nutrition mode simple: the vitamins and minerals your body was designed to use, without all the additives and artificial ingredients you've been hoping to avoid! Where to Purchase: Health Care Phamacy, Chinese medical store, etc. Disclamer: Although organic related products is safe, but is always better to inform your doctor before comsuming it. Note: There is no exact right doses limit, so you have to judge by your own how thick or amount of wheatgrass juice you wanted it to be, but too thick is hard for baby or young children drinking. Usually, I heard drinking it first thing in the morning, will be more beneficial as when your stomach is empty, as your body tend to absorb more of the nutrients that your body needed. Having it after meal, one to twice a day wasn't a bad option either. The longer duration patients is on wheatgrass, also mean the longer the time patients had sticks with and continue their daily consumption of wheatgrass, the higher it seem to show having their hemoglobin level increase. So if patients are only having their wheatgrass for only few months, has shown less benefit in increasing their hemoglobin level, than someone who are taking them for years. One of the most effective fresh fruit and vegetable juice out there, that's known to increase hemoglobin level other than the wheatgrass juice is the beetroot juice. There is some cases being said by patients, that it could replace the needs for blood transfusion in younger children. Whether it's true or false, it hard to say. But, certainly there is no harm giving it a try. Beetroot juice itself, might not be tasting as good as you might expect it to be. As it was been said " Bitter medicine is always the most effective medicine." But, what if you are worried that your children, might not like the taste of Beetroot? As some children might vomit, once they get to taste Beetroot itself. Certainly, there is other thing you can do to enhance it, by making it taste better like having it along with carrot, tomato, lemon or other fruits that you think your children may like or will make it taste better. During my Taiwan trip, while on the way to Taipei. We visited the Lingzi speciality product shop. While on the way there to the product shop, a aunt who was sitting beside us all along during the whole tour trip. Was sharing her experience with us. That one of his/her friend who was a cancer patient, and was undergoing both Chemotherapy and frequent Blood Transfusion. Told her that, after he/she had started taking Lingzhi for a while. It seem to be reducing his needs for blood transfusion. From usually two packets of red blood, every two weekly. To now two packets of red blood, every six weeks. His friend had also tried stopping taking Lingzhi from a while, and his needs for more blood transfusion actually occur. It went back to where he will before taking Lingzhi, requiring more frequent more being transfused. It was a little hard to beileve, but was her experience sharing with us. How to Grow Taller in Thalassemia Patients? Growing taller is the same or can be different as trying to gain weight. It's the same as in growing taller and gaining weight, has a big part to play with genetic factors. A family with both parents are tall or big build, certainly there is a higher that we can see their kids being that way. The different as in, if you are trying to gain weight. You just need to eat more than you usually do, or eat more than what your body could burns off as in calories content. But there isn't much you can do to help you grow taller. As firstly, how tall you will eventually be when you become an adult is largely base on genetic factor, but secondly we just can't eat a whole lot of foods and expect our body to grow taller instantly. Of course you will be saying exercise more regularly and having enough nutrients will help your body to grow taller, and I don't disagree with you. You may be right. These does play some important parts in enhancing your overall growth as well. But in Thalassemia patients, there is an additional worry. Which is in my opinions, is just as important as everything we had talk about if not more so.. And it's receiving their proper treatment needed since young, or even better since they are diagnosed with Thalassemia. Having regularly blood transfusion, to maintain a healthy hemoglobin level. Not to forget having regular chelation, to prevent iron overloading as much as possible. Because that itself is more important than growing taller, how about growing your life expectancy longer with that. How to Gain Mass/Weight in Thalassemia Patients? In order to gain mass/weight, you will need to eat more quality foods that your body needs, and not quantity. Eating a lot of junk foods, does not help to to gain mass or build muscle. You can eat whatever you want at first when you first trying to put on some mass, but eventually you will want clean up your diet a little by eating foods that serve you and your body. Don't be afraid of trying healthy food, just because you might be afraid the taste of it might be awful. That's absolutely not true. There are so many different variety food, I am sure there are something you will love...If you are trying to gain mass, start off by first having all the basic nutrition food that you need on a regular basis, then overtime you will want to increase the quantity of the food so to gain mass. It may be difficult at first, if you are trying to switch from a totally junk food diet to having a nutrition healthy food diet. What you can do in this case is trying to have more nutrition in your daily diet and at the same time eating what you want, and overtime eating more of the nutrition food, eventually you want to be on a completely nutrition daily food diet. Do not skip any meals in your daily diet. Remember to have all your meal on time. Don't be a Fussy or Picky eater. Try and Eat different variety of foods. Do not take Mass Gainer. Mass Gainer do not help you to gain mass quickly. Mass Gainer is a product used for people's who do not want to put in the hard work, effort and consistency, but want the reward of someone that is doing it the right way in getting mass. Nothing Good in life ever come from cheating or having shortcut. Mass gainer are all packed with sugar, there is nothing in there that will serve your body. Baby/Children are often not eating as much food, as they should. Needless to mention, thalassemia patients included. Causing parents to be very concerned, whether their child is getting enough food and nutrients. Especially, in situation when they are gaining as much weight, as they should or worst losing weight. Worrying it will affect their overall growth. After some research, most parents will come into conclusion, that the best thing they could do is to ensure their kids are getting enough nutrition. Is giving them additional supplements on top of their daily nutritional consumption from food products. Therefore, they will start asking people around them, that they think will know what supplements is best to have. I am doing good. How had you been? In my opinion, all these drinks you mention are good, of cuz for baby drinking milk is important but certainly black coffee or tea is not a bad thing, if consume in moderation. That's is nothing wrong with having banana, although it may contain maybe a little more sweetness and iron content in it than other fruit. But, shouldn't be a huge problem giving some. Although, guava is properly a better fruit to have because of it's nutritions value it contains and lower amount of iron content in it, at least if compare with apple or banana for fruits. I have one douther .she was a thalassemia patient. but i have no abilite her proper treatment . please help me . HOPE EVERYONE WHO ARE HEALTHY AND ARE ABLE TO DONATE BLOOD TO GIVE A HAND TO HELP THALASSEMIA PATIENTS BY DONATING BLOOD TO SAVE A LIVE.